Do-it-yourself electronics used to be the domain of the super geeky, but over the past few years things have really changed. Platforms and computers like Arduino and the Raspberry Pi have given rise to a whole new maker culture, and it’s now easier than ever to get started experimenting with, learning and building DIY electronics projects. From Arduino and Arduino-compatible boards to complete DIY electronic kits, there’s something out there for everyone. With so many modules and kits available on the market, though, it can be a bit confusing if you’re not too well-versed in the subject. While it’s probably impossible to compile a definitive list of must-haves, it’s always nice to have a place to start. Here is a list of 10 fun kits and modules you should give a go. LittleBits is a library of open-source electronics modules that simply snap together with magnets. 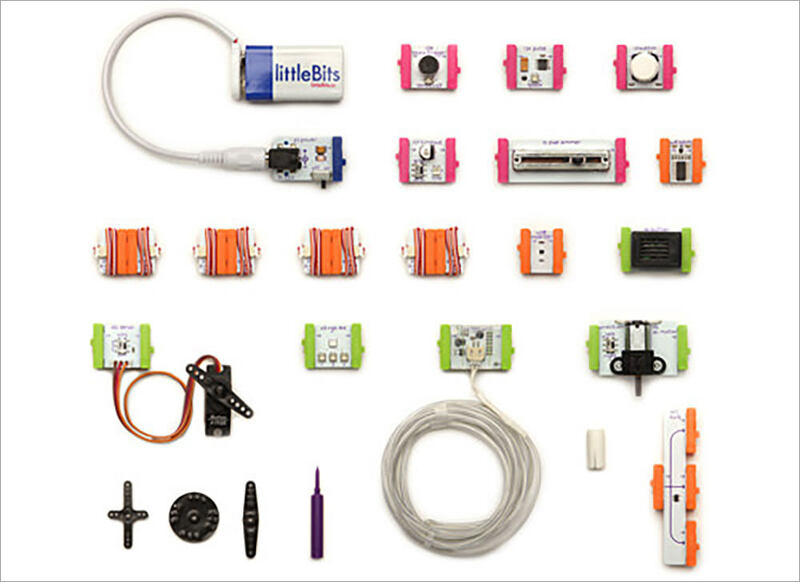 LittleBits modules can be combined to create a large variety of different devices and projects. There are a number of different LittleBits kits available to purchase, but you can also buy individual modules as well as accessories such as mounting boards and USB cables. There are 3 beginner kits to choose from, as well as a Space Kit designed in collaboration with NASA, and a Synth Kit designed in collaboration with Korg. With all the options available, it’s easy to get a bit confused and not know where to start with the LittleBits. Fortunately, the official LittleBits website has a large repository of projects you can make, complete with instructions, that should help you get to grips with what you can and can’t do with the LittleBits kit. 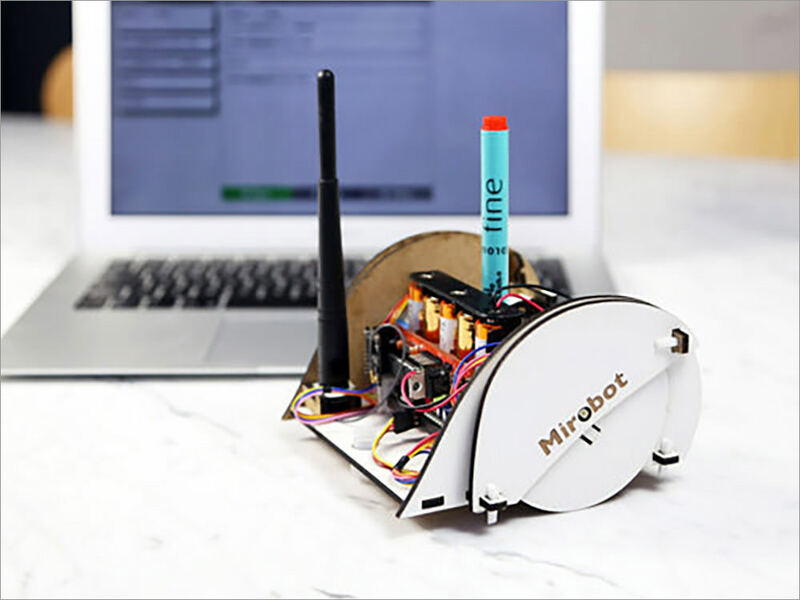 The Mirobot is a DIY WiFi-capable robot that’s designed to help children and adults learn about and develop an interest for technology and programming. Mirobot’s main function is drawing geometrical shapes, and can be programmed easily through a web page-style programming GUI accessible via WiFi. Mirobot is an open source hardware platform, and so you’ll be able to modify and expand the code and designs to suit your needs. In addition to being an open source hardware platform, the fact that Mirobot has Arduino at its core means that it’s going to be incredibly easy to reprogram it to do other things. In addition, the rationale behind the Mirobot’s lack of a casing is so that children and learners can see what’s going on inside the robot, to make things easier to understand. The Mirobot kit comes in both unsoldered and pre-soldered forms. 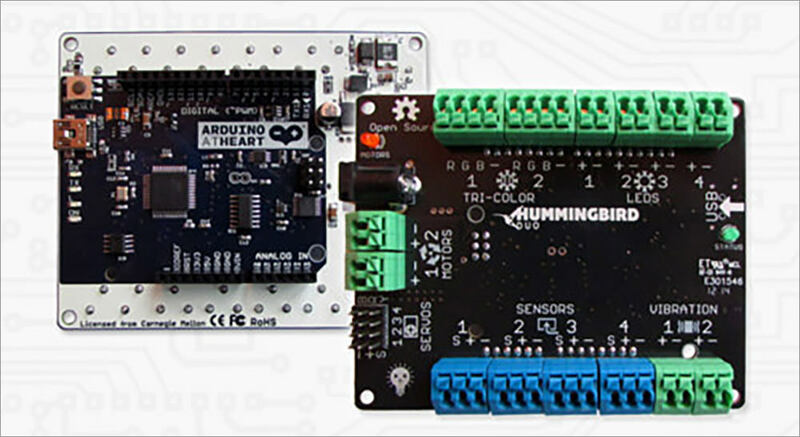 The Hummingbird Duo is two boards in one: the original Hummingbird controller, as seen in the Hummingbird Robotics kit, on one side, and an Arduino Leonardo on the other side. The new dual design means that you can either use the Duo exactly like the original Hummingbird controller, or as an Arduino board with additional motor and servo shield as well as improved connectors, all of which are provided by the Hummingbird controller. Like the previous Hummingbird, the Hummingbird Duo has been designed so that it’s easy and fun for all age groups. Hummingbird’s CREATE Lab visual programmer makes it incredibly easy to get started programming. There are 2 kits available, the Base and Premium kits, and components in these kits include a HS-311 Servo, Pololu Gearmotor and other useful components. Printoo is an Arduino-powered platform with a twist: instead of the common, rigid circuit boards, Printoo modules and circuit boards are built on paper-thin materials that make them particularly useful for 3D printed objects and situations where weight and size are big factors. There are currently 17 different Printoo modules and circuits, all paper-thin and bendable. 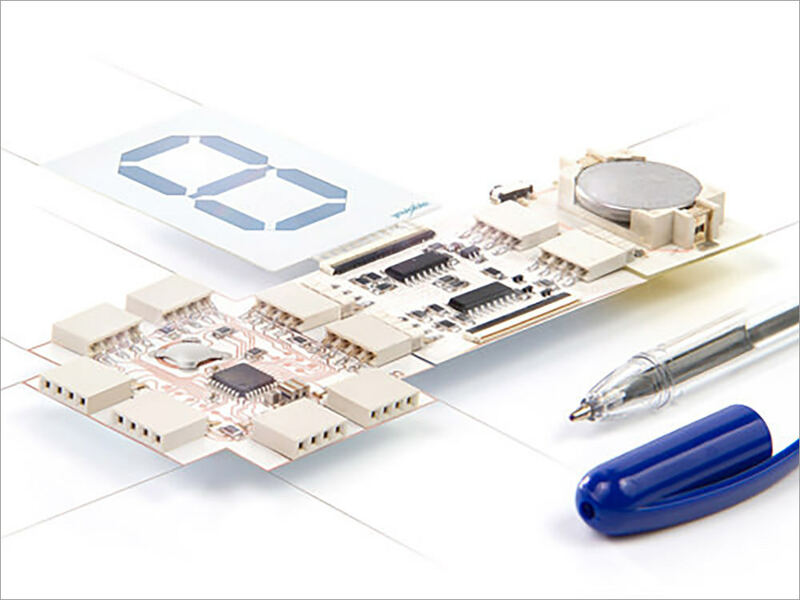 Printoo also takes a page out of the LittleBits approach to electronic modules, letting you connect modules simply by plugging them together. The developers have also created apps that will allow you to connect your Printoo to the Internet, letting you control them or trigger actions on the Internet from anywhere in the world. This, as you can imagine, opens up a world of possibilities for your Printoo creations. The AttoDuino is an Arduino-compatible module that’s basically an Arduino on steroids, as the makers claim. There are a number of interesting enhancements that are sure to appeal to Arduino users. The AttoDuino has a fast ARM M4F CPU with a built-in floating point coprossesor running at 80MHz, giving it serious grunt. Beyond this additional computing power, the AttoDuino has built-in Bluetooth connectivity – you can also program the AttoDuino over Bluetooth – as well as onboard battery charging and voltage regulation. The integrated battery charger and voltage regulation capabilites mean that the AttoDuino can be run safely from either a battery or an external power supply, so you won’t have to worry about integrating the AttoDuino’s power needs. It also has temperature and battery voltage reading functions, so it’s easy to monitor the status of your project. The Digispark Pro is a compact and cheap USB-ready Arduino dev board. The Digispark Pro is an improvement upon the old Digispark: it still supports the more than 25 shields of the original Digispark, but with added capabilities and features. The Digispark Pro is easier to use and program, has more pins and program space, and adds features such as WiFi, Bluetooth and BLE shields. The Digispark Pro is also ready for mobile development, and comes with examples for Android and iPhone. The Digispark Pro has a number of interesting USB-related features. Firstly, it uses the new Micronucleus USB bootloader for easy programming over USB, direct from the Arduino IDE or command line. In addition, the Digispark Pro can also emulate a USB Serial Port as well as various USB devices such as USB keyboards, mice and joysticks, and a Generic HID Device. 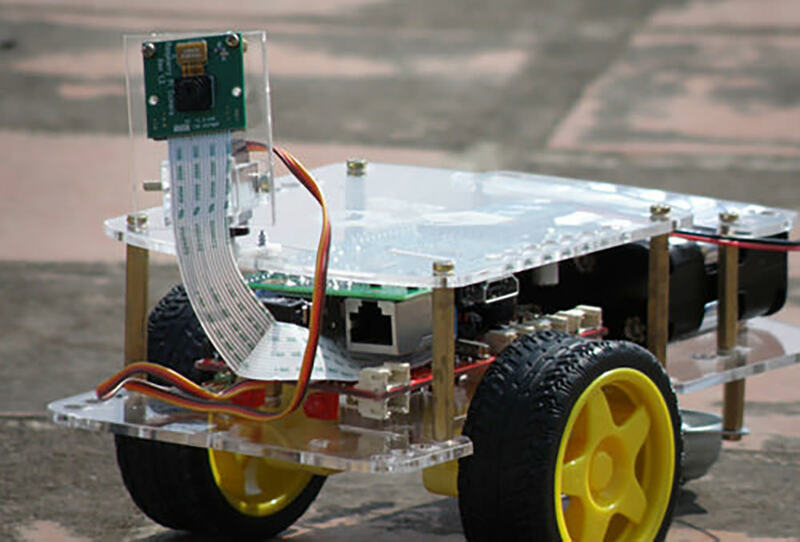 The GoPiGo is a complete robotics kit for the Raspberry Pi, letting you turn your Pi into a mobile robot, complete with wheels, motors, controls and its own robust, reliable power supply. It also comes with an acrylic body so you won’t have to worry about sourcing or building your own. However, do bear in mind that the GoPiGo itself doesn’t do much beyond turning your Pi into a mobile robot; it’s up to you to take advantage of the power of the Raspberry Pi to actually make the robot functional and useful. The GoPiGo also comes with its own modified Raspbian OS, included in the kit. The acrylic body was also designed with the Raspberry Pi camera in mind, and offers two camera mounting options, either on the body or on a servo camera mount that will also turn 180 degrees. The GoPiGo was designed with easy assembly in mind, and can be put together with only a screwdriver and about 10 minutes of your time. The Spark Core is an Arduino-compatible development platform powered by a powerful ARM Cortex M3 running at 72MHz. In addition, the Spark Core is WiFi enabled, letting you program the Spark Core wirelessly. It also has cloud functionality with the Spark Cloud. The Spark Cloud lets you access your projects from anywhere in the world, but it also gives you access to the Spark Core’s unique REST API, which lets you write software for mobile devices, computers and web applications that will interact with your hardware projects. 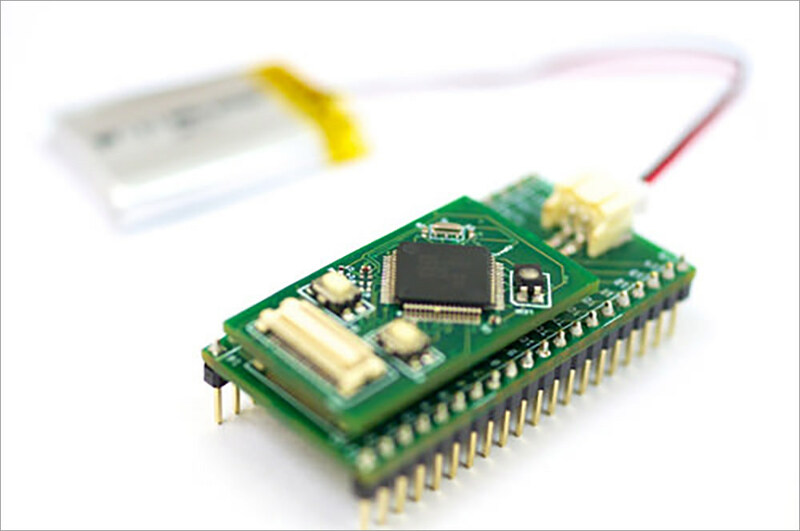 The Spark Core’s WiFi controller uses Texas Instruments’ new CC3000, with a unique Smart Config technology that makes it very easy to get projects connected to the Internet. As with most devices of this type, the Spark Core is completely open source, with all the hardware design files freely available, plus it’s also built on open source standards and protocols. The Touch Board is an Arduino-compatible device that lets you translate touch into sound and a whole lot of other things. 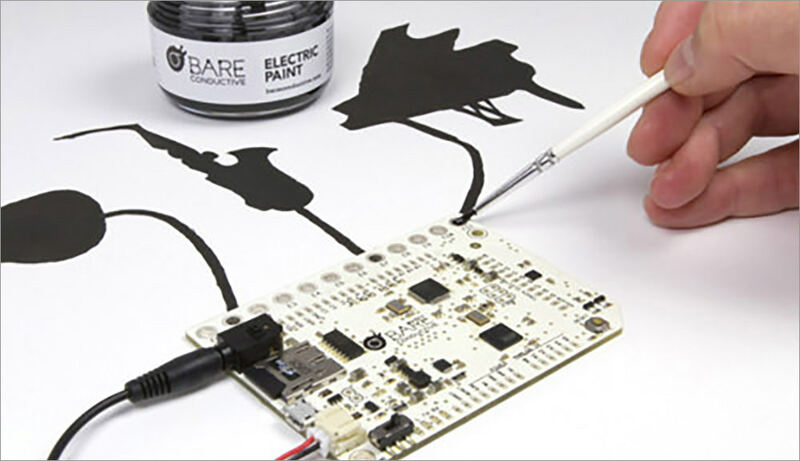 Basically, it’s a circuit that you can use to integrate interactivity and tactile response into a project, with the help of electric paint or any other sort of conductive material. Just connect this conductive material to any one of the Touch Board’s 12 electrodes, and the Touch Board will then trigger an action – basically, anything you’d be able to program with an Arduino – when this conductive material is touched. The Touch Board has both touch and distance sensing functionality, and it also works as an MP3 player or MIDI device, translating touch into sound. There’s even a Micro SD slot so that you can completely change the sounds that the Touch Board will make just by changing the SD card. It has a 3.5mm audio output jack and is also HID capable, so you can use it as a keyboard or mouse. 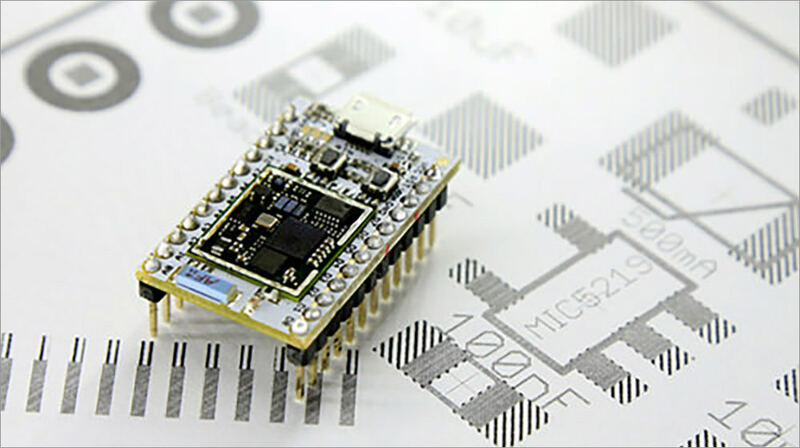 TinyDuino is a complete series of Arduino-compatible boards, the biggest appeal being their incredibly small size. TinyDuino boards pack the same amount of processing power as an Arduino Uno but are smaller than a United States quarter, making them incredibly suitable for projects where space is at a premium. This small size is achieved by paring each module down to the basics and making them incredibly modular. 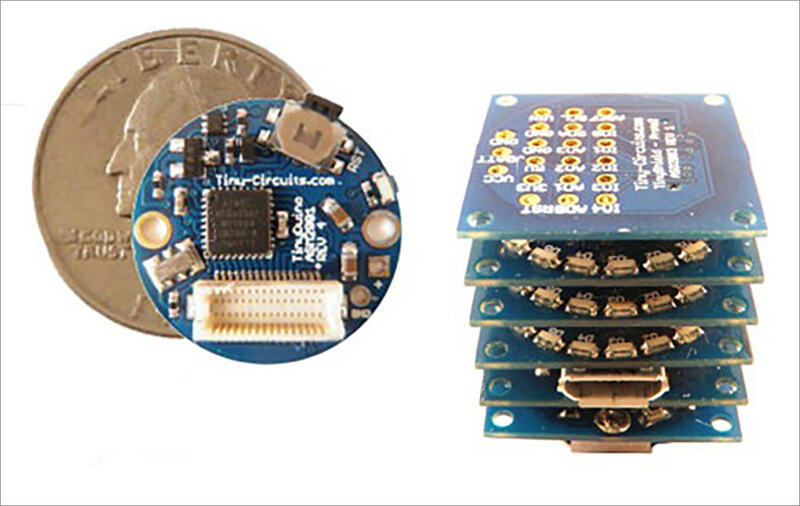 The TinyDuino modules come as 20 x 20mm squares, but most of the modules can be cut into circular shapes. There are a respectable number of modules available in the TinyDuino range, from the basic core Processor Board to various shields such as a MicroSD shield, a WiFi shield, a GPS shield and a USB and ICP shield. 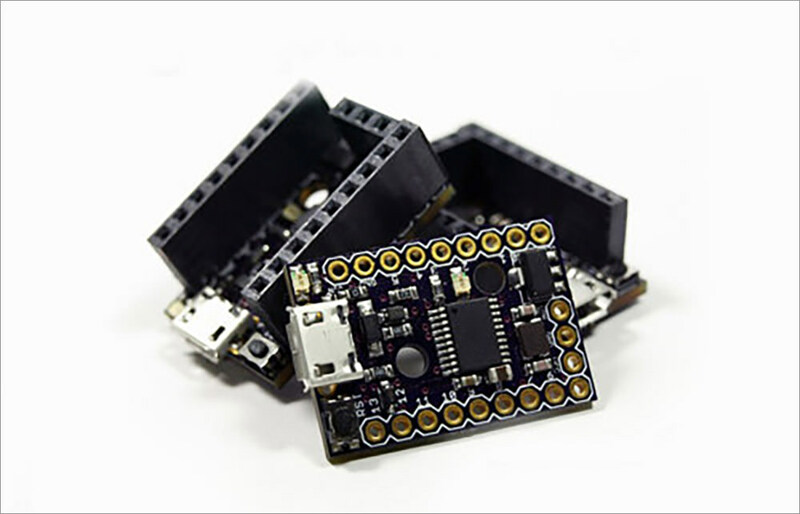 The TinyDuino modules use small, low-cost connectors that still supports all the signals that a standard Arduino shield requires.